The easiest way to upgrade your system into wireless N network, the Rosewill RNX-N180UBE connects your PC/NB to a wireless network in minutes using a high speed USB2.0 interface. MIMO technology, with one transmitting antenna and two receiving antennas, enables a high throughput of max 300Mbps for download and 150Mbps for upload. An array of high level security options guarantees maximized network protection, bringing you great peace of mind. Compliant with IEEE 802.11n and backward compatible with 802.11g/b, the Rosewill RNX-N180UBE adapter smoothly integrates into any existing wireless network. MIMO technology, with one transmitting antenna and two receive antennas, provides a maximum 300Mbps download rate and 150Mbps upload rate. 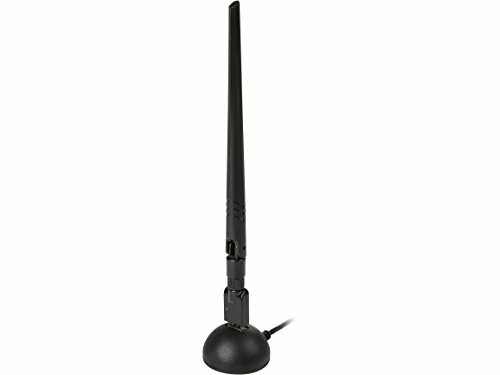 Great N300 wireless adapter with highly advanced security (64/128 WEP, WPA/WPA2, WPA-PSK/WPA2-PSK (TKIP/AES)) to protect your internet. Magnificient wireless adapter (USB) also support Soft AP Mode makes the adapter into virtual Wi-Fi hotspot.